Mohamed M Keshavjee’s book, “Into that Heaven of Freedom”, to be launched in Ahmedabad on Saturday, captures some of the rare historical moments of how Indians were discriminated against in South Africa around the time when Mohandas Karamchand Gandhi, as Gujarati lawyer, arrived in the country in 1893. 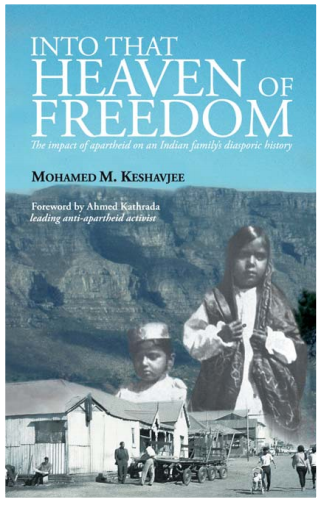 Pointing out that his forebears arrived in South Africa a year after Gandhi unaware of the apartheid system, the book, running into 23 chapters, admits that his great uncle, like the majority of other Indians, “had no idea of the racist nature of the system when he first arrived” in South Africa. Touring through Kathiawad in Gujarat, to which Keshavjee’s ancestors belong, the book inquires into what made his family leave India in the last quarter of the nineteenth century and why did they choose Africa. According to him, the reasons lay in the colonial situation in which the traders India found themselves at that time. Set against the backdrop of Gandhi’s early struggle against racism in South Africa, the book focuses on how awareness spread in an urban location near Pretoria called Marabastad, to which Indians, many of them traders, were relegated under the racist legislation. The book describes how the Ismaili community, from which Keshavjee hails, organized itself mainly around their community centre, where its members set up institutions of social development as a bulwark against the detrimental effects of a political system that was bent on destroying the fibre of the lives of all non-whites. 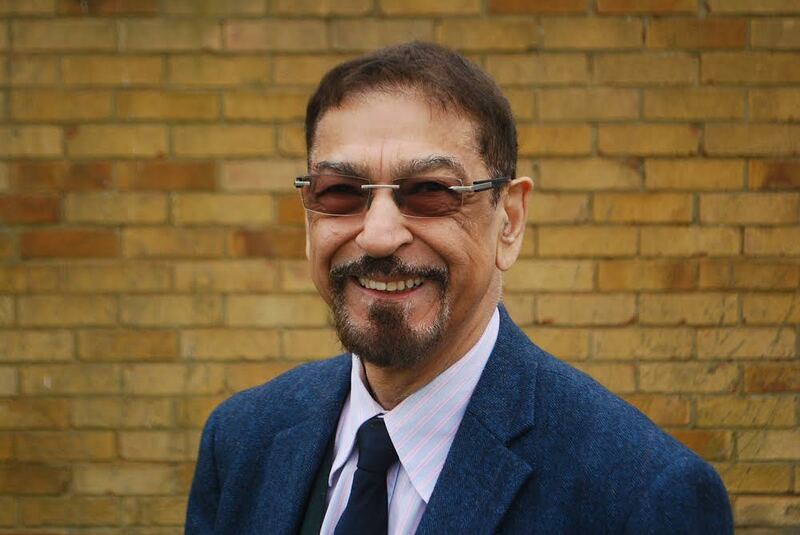 A South African and a Canadian, Keshavjee did his doctorate at the School of Oriental and African Studies, University of London. After leaving South Africa in 1962, Keshavjee lived in Kenya, where he went to school and later practised law before going to Canada. For 30 years he lived in France working for the Aga Khan Development Network. Currently he lives in UK, lecturing in various universities. In Marabastad, says the author, there was utter lack of security in respect of their homes, yet people went about their daily lives with a degree of resignation, as they confronted a maze of laws designed to stifle their economic survival, particularly the Group Areas Act, which gave the government powers to forcibly evict them to other areas far away from town. It is at this point, says Kesavjee, that Gandhi became involved in fighting for the rights of the Indian people, primarily on the basis that they are British subjects, and, as such, are entitled to the same rights and privileges as all British subjects. Launching satyagraha, the book, based on interviews, gives a description of Gandhi’s struggle against the anti-Indian legislation in the Transvaal, the school for the children of satyagrahis called Tolstoy Farm, and how, within the first week of his arrival, he experienced racial prejudice and was thrown out of a train for travelling in a first class compartment. The book describes the encounters the author’s family had with petty apartheid, which over time became so mind-bogglingly ludicrous that the system was bound to implode under its own weight. He describes a funny incident involving a cousin’s haircut when the barber felt compelled to shut the shop as he had reached the closing time imposed by the City Council. This entailed the cousin walking around the town having had a half a haircut! The book describes how the small enclave in which his ancestors lived produced individuals of great moral courage, who gave of themselves to help society withstand the ravages of apartheid - individuals who fought the Group Areas Act, such as the Gandhian non- violent resister, Nana Sita, Thayanayagee Pillay, daughter of Thambi Naidoo who worked very closely with Mahatma Gandhi, and Ismail Mahomed, a leading jurist who became multi- racial South Africa’s first non-white chief Justice.